At the weekend, the girls and I had a wedding to go to, which meant new party dresses were in order! 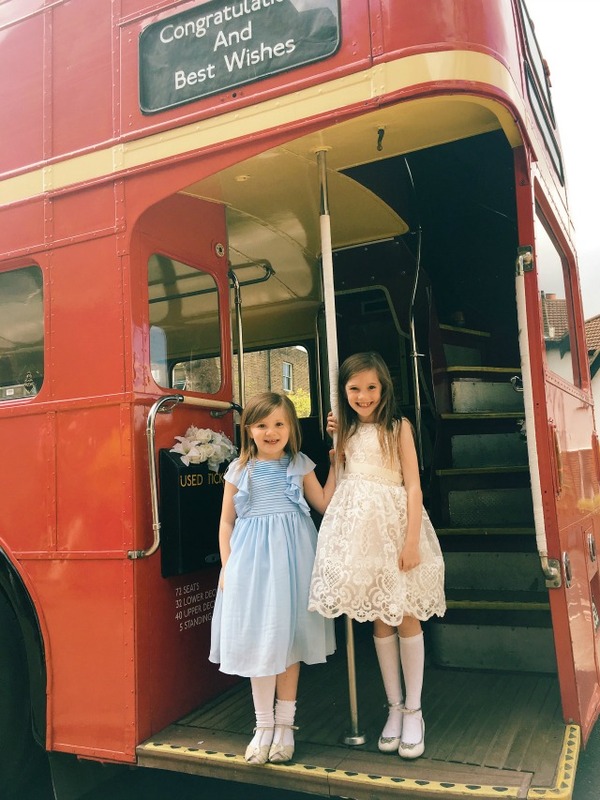 I've previously worked with, and purchased clothes from, Roco Clothing - and ever since I was introduced to them a couple of years ago they have officially become the first place I visit when looking for something special for the girls to wear. As well as being beautifully made, and equally beautifully packaged, the thing that really sets these dresses apart from other similar brands is the price. They are seriously reasonable compared to other childrens' formal wear that's available on the high street. As is always the way now, I let the girls choose their own dresses for our special occasion. 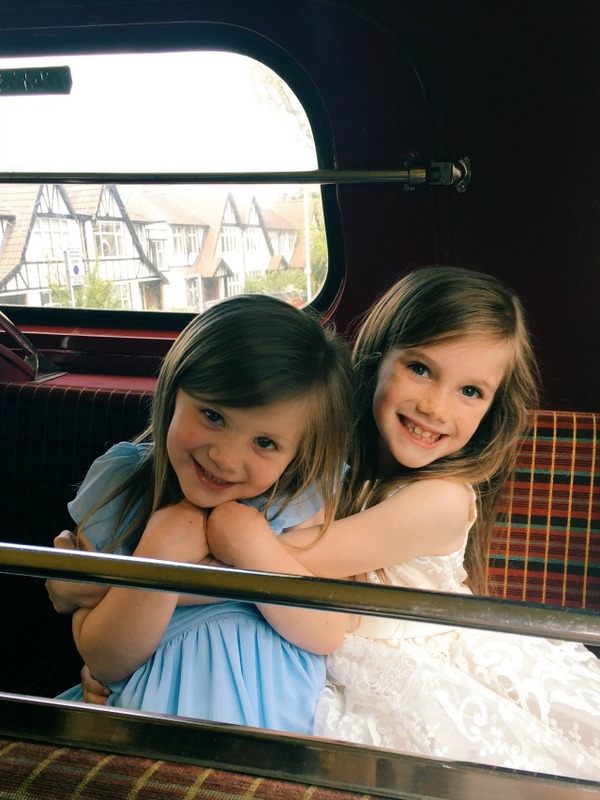 Evie went for the Elsa dress in blue, while Daisy chose the Layla dress in champagne. 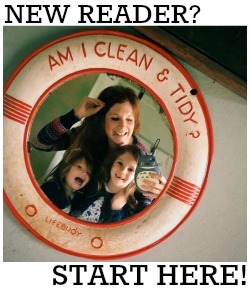 Prices for each start at £34.99 and £29.99 respectively. 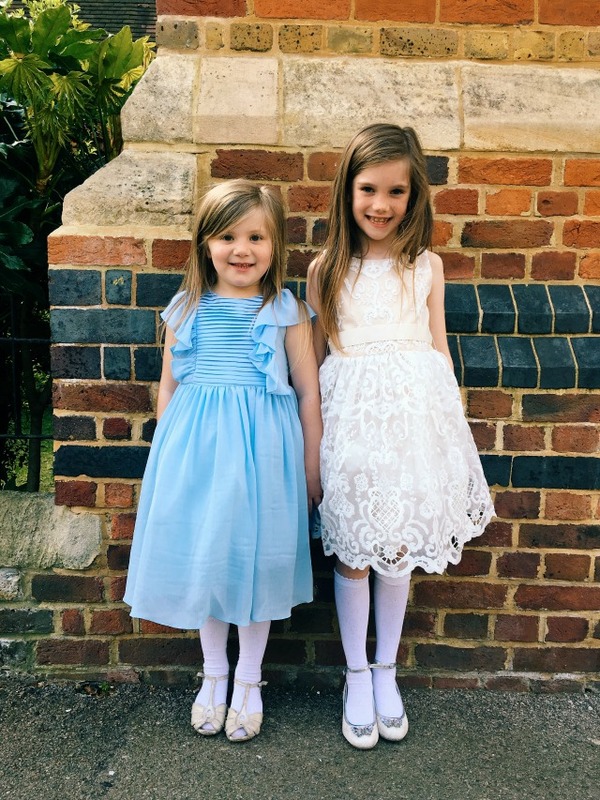 Evie's Elsa dress is a beautifully soft and lightweight, pale blue fabric. I love those ruffled sleeves and the fact it has a big bow on the back! It's the perfect party dress - especially as its a great spinner! Evie had lots of fun in it on the dance floor. I think Daisy's Layla dress makes her look so grown up! The underdress is a champagne colour which really sets off the pretty white lace overlay. It also has lots of mesh underskirts to give it volume, which is what Daisy loved most about it. We were sent these dresses in exchange for this post. All words are entirely honest and my own, and all images are copyright. Please do not use them without my consent. Love Roco Clothing, they have lovely stuff for boys as well, which makes a change! Girls look gorgeous and I love that bus!